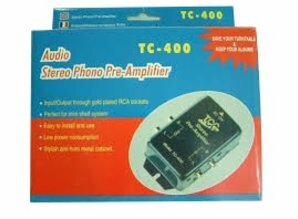 The TC-400 is a significant upgrade from the entry-level AC-powered preamps you'll find sold all over the internet, because its external power supply provides excellent isolation against hum and noise. 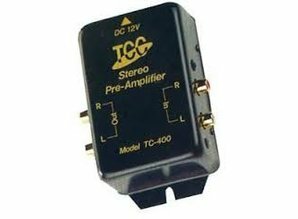 Additional features include a ground wire terminal, gold-plated RCA connectors for input and output, and a LED power indicator. 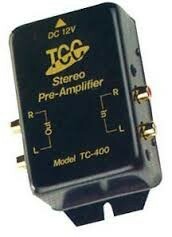 This is an excellent choice for use with, mini-systems, component stereos, and home theatre systems. If connecting to a computer, simply substitute it in the diagram for the receiver shown above. 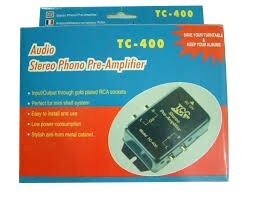 Use the sound card's LINE INPUT jack, NOT the MIC INPUT. 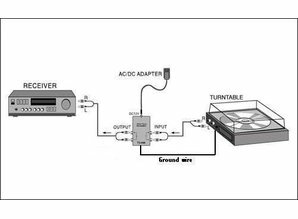 AUX, TAPE IN/PLAY, LINE IN, CD, TUNER, MD (MiniDisc), VIDEO or DVD (use only the L&R AUDIO jacks. 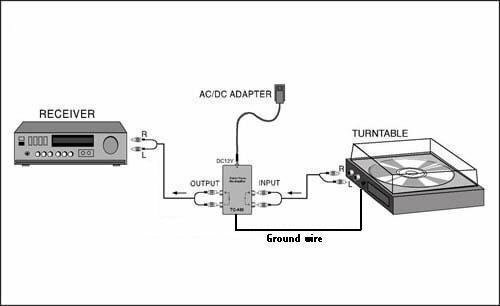 TC-400s are custom-made with a dedicated ground wire terminal which is the proper destination for your turntable's ground wire.